A revolution in communication displays. An object of beauty offering effective support for in-store brand awareness. When images and light join forces they create wonders such as the Iconic mirror, from the MPH Unica collection by Cantoni: a mirror equipped with professional lenses, boasting low energy consumption and exceptional luminosity, set in an image that is in turn permeated with evocative luminosity. 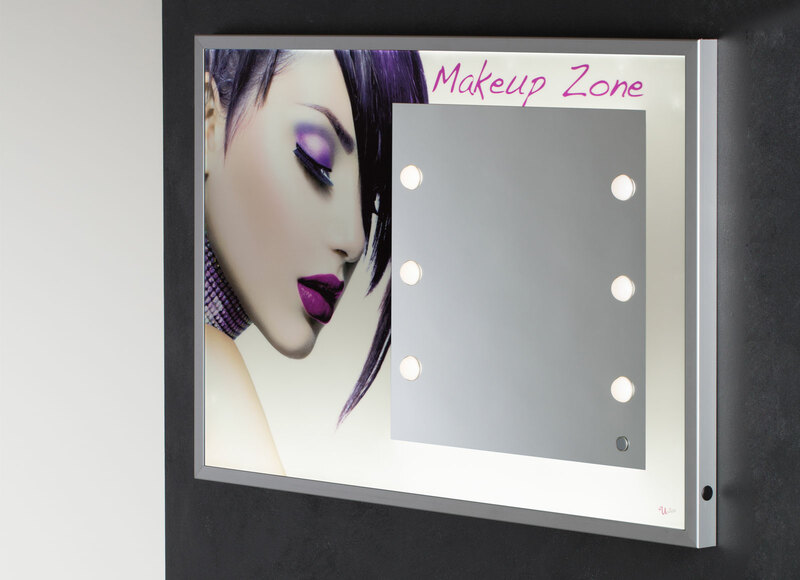 The Iconic wall-mounted mirror, with a backlit image for both the visual and furnishing versions, is characterised by the possibility to backprint an image to glass, enclosed in a satin finish aluminium profile, which is further enhanced by LED backlighting. The image may be an advertisement or an appealing image, perfect for completing a look in a residential or professional space. 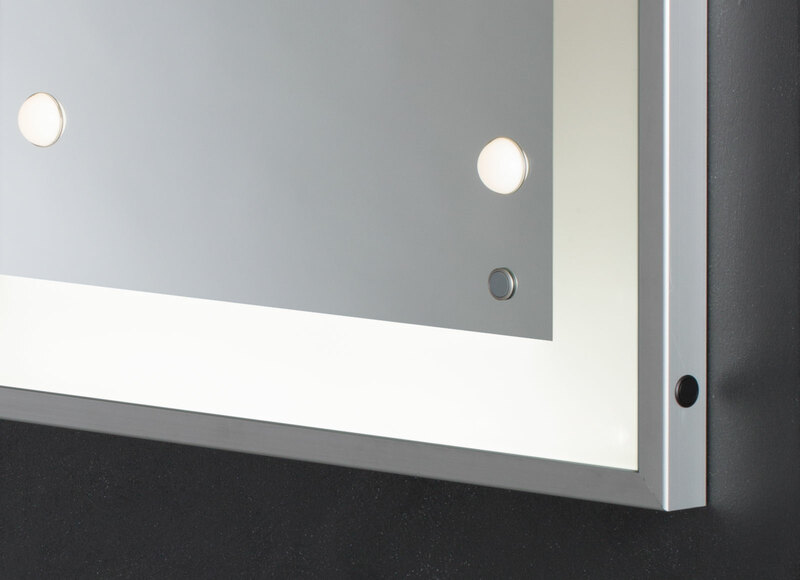 These panels, equipped with an integral professional lighted mirror, boast low energy consumption and are easy to install. Such features, combined with the generous amount of space available for customisation, make them a precious tool for supporting brand awareness activities in sales outlets, whilst creating appealing and highly functional beauty corners. The light lenses in the mirror mark six dimmable, low energy light points. The lighting system is based on I-light technology: the image reflected is completely free from shadows and thanks to an exclusive light refraction system, does not dazzle the eyes. Would you like to buy a MPH panel? The MPH collection is composed of panels with a customised and backlit image backprinted to glass with an integrated mirror that may be neutral or equipped with six I-light lenses. The front and back lighting are independent of each other. Available both with a mirror with integrated I-Light lights (MPH10) or a version with neutral mirror (MPH11). MPH decorated mirrors can be high-resolution printed to glass with an image or colour logo chosen by the customer.